PLEASE CALL US ON ***-51-51This is a fantastic example of the Fiat Punto, its a One Owner From New car, in lovely condition and has a Great Service History, plus its just been serviced. We will also supply the car with 12 Months MOT and a 12 Months Gold Warrantywise National Warranty for peace of mind. It has great specification including Air Conditiong, Multi-Function Steering Wheel and a Two-Tone Blue/Grey Interior.-- Competitive Finance Available - Call Us For Details -- -- 1 Owner From New! -- -- Low Mileage -- -- Low Insurance Group - Just 8 Out of 50 -- -- Can Achieve An Impressive 50 Mile Per Gallon Combined -- -- 100 Refundable Deposit Secures This Car - Call Now! -- Parkers Guides Verdict - You get a lot of car for your money - Competitively priced - Low running costs.Specification:Upgrades - 12V Power Socket, Body Coloured Side Door Mouldings, Door Mirror Covers Gloss WhiteStandard Features - Air Conditioning, Radio with CD and MP3 Player, Leather Multi-Function Steering Wheel, Alloy Wheels - 15in Sportline, Dark Tinted Privacy Glass, Electric Front Windows, Body Coloured Heated Electric Door Mirrors, Height Adjustable Drivers Seat, Height and Reach Adjustable Steering Wheel, Leather Gear Knob, Trip Computer, Upholstery - Cloth, ABS with BAS (Brake Assistance), Driver Knee Airbag, Dualdrive Power Steering, EBD (Electronic Brake Distribution), Immobiliser, Rear Seat with ISOFIX, Remote Central Locking, Window Airbags, 40/60 Split Rear Seat.hi! auto is a family run business with 25 years experience and offer great value for money cars in the Midlands, allowing you to buy with confidence.Please check out our testimonials and online reviews on Autotrader, Google and Facebook.Finance options available to suit all credit ratings and budgets. Check out our interactive finance calculator on *** - you can adjust your deposit and the term to find a payment to suit you - then simply click the Apply for HP button. Or, for a fast track finance application please call us on ***.All our vehicles come with a minimum 12 MONTHS WARRANTY, plus we give you the option to extend this to 24 or 36 months. For more details please click on the Warranty tab on our website.Please call us now to arrange a viewing and test drive or if you have any questions, we hope to hear from you soon.Experian auto check HPI clear.Part exchange welcome. This advert is for a Fiat Punto, click Fiat Punto in Ilkeston to see more cars like this in the local area. Want to search further afield? 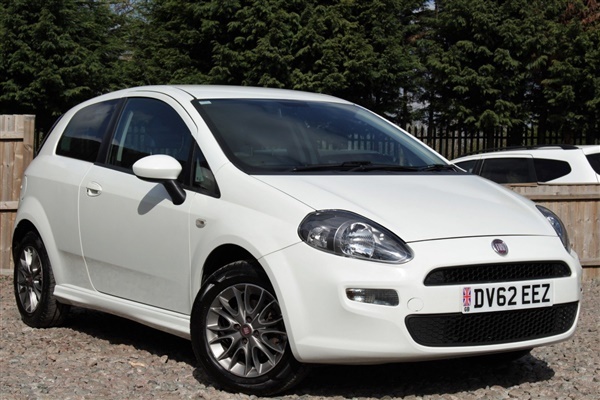 Click Fiat Punto in Derbyshire to search for similar cars in the wider Derbyshire area.